A well-organized kitchen is much easier to use and navigate. Our first-class kitchen cabinets can provide you with all of the storage space you need to easily prepare and cook your food. As an experienced kitchen cabinet company, we can work with kitchens of any size. 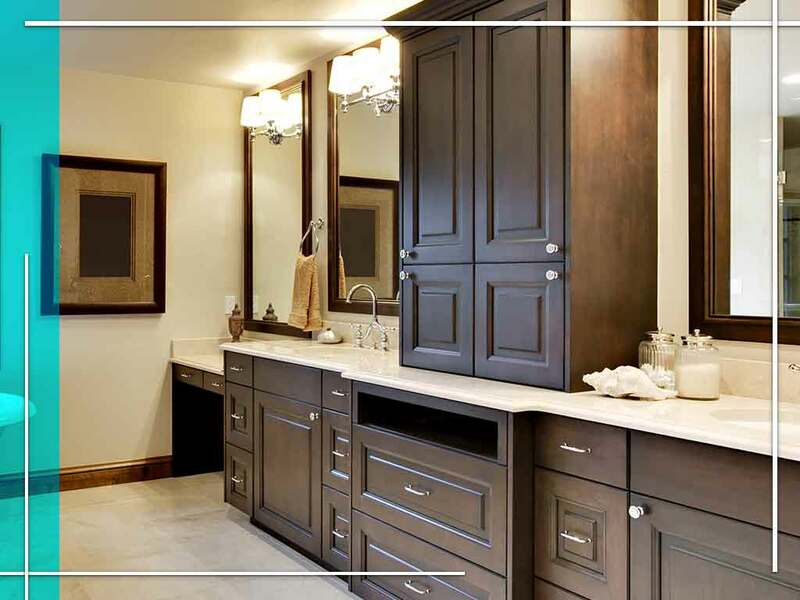 Our cabinets are semi-custom and come with thousands of different designs and configurations. This will allow you to personalize your cabinet depending on your kitchen layout, so you can get the most storage possible. Our kitchen and bathroom cabinets can also transform your kitchen’s appearance and make it look more beautiful. We offer a diverse set of cabinet product lines to meet different budgets. This allows us to offer our customers with a staggering array of design choices. You can choose from an extensive selection of stains and paints while further customizing your choice through our selection of glaze and finish technique options. Aside from your kitchen cabinets, your countertops are one of the most prominent design features of your kitchen. Replacing your old and outdated countertops can breath new life into your kitchen. That’s why we offer a wide range of different countertop materials from top manufacturers. You can choose from laminate countertops, granite countertops and more. Each of our countertop designs comes in many different patterns and colors, as well. Harbour View Kitchen and Bath offers kitchen cabinets and countertops from some of the industry’s top manufacturers. For instance, we offer 100% All American Made Wellborn Cabinets that are expertly manufactured and tailored to fit any kind of home. During our initial consultation, we can help you navigate our wide range of design choices. We serve many areas, including Norfolk, VA. Call us at (757) 630-0406 to learn more about our services and products.